Jenni reversible peplum top featuring two tiers of ruffles and a tie back silhouette. Can worn with tie at front. 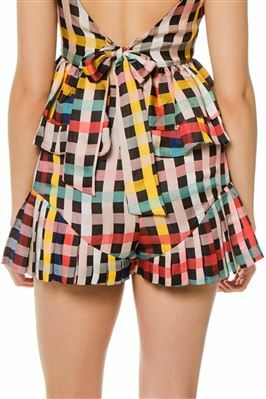 Pair with Felipa shorts.